September 9, 2013 – River Mangrove Are The Life Of Climate.IS. Pharakka (fharakka dam)uniform water distribution and Politics.Bangladesh. Pharakka dam built upstream of the Padma gangaya the politics , and the protection from the harmful effects of pharakkara a small portion of his work was . Pharakka from the water to get a fair hisya bilateral talks with India , and that such initiatives were not even aware . If you do not have to go to the International Court of bilateral talks . Needless to say , pharakka inside the country that has the solution to this problem, which has managed to do much more than has been managed by flame bharatabirodhitake blind steals for political benefit . The benefit does not exist steals vicious move . Some of them , such as those devoted to the politicians , the intellectuals pens . The South is the most nadii mrtapraya today . I have too many die . The River – canal homes or in other settings is pressed down . Fearsome and one-time demented child to walk or travel mausume is dry . Padmaya is going to fill the land with the fight . Brahmaputra River and its many branches in the winter casabada . 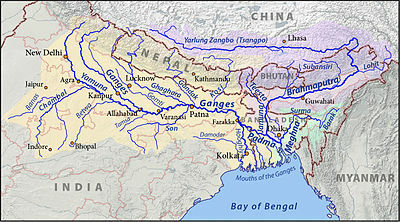 Several branches of the river Yamuna and the same . I do not think small rivers . But in the end , we wonder how much ? Do you have any ideas at the beginning of us ? Nadio of the way , the bamcale that Bangladesh live – the simple truth is that our politicians do not acknowledge it . And so the four decades of mining in our Rivers did not have any power any government initiative , which would be the British in India . Historical different tathyanuyayi , the river was about a thousand . According to the Bangladesh Bureau of Statistics , the number 700 . The Bangladesh Water Development Board ( paubo ) of the river is currently at 30 . Six thousand kilometers nadipathera most people do not nabyata . The base of the river have been built in the Bangladesh . Human vein – like thin vein of Bangladesh and the works of these two rivers , tributaries . Veins – thin vein is damaged , such as when a human is sick , I was so banladeserao . This country is being affected by the floods and marumayataya . Swooping down to the water level gradually . Marumayata gradually increasing . A lot of water through deep tube wells in the area are harvested . Sea salt water has gradually reaching the country . Crop production is interrupted . Why is this ? In a nutshell , for the long abahelai . As it is , the period of undivided India was 50 drejarera a collection . I was digging through the Rivers . The flow of the river from the Poly fill process was not quite so severe . Then came the Pakistan regime . Nadikhanana process was closed . When Bangladesh became independent, we have not had any dredgers . In ’75 the political government kinechila seven dredgers . I have not bought any of the dredgers . The life expectancy of a drejarera is 0 to 5 years . The effective ayusampanna was no drejarai . The government has taken the initiative to purchase a half -dozen dredgers . Some already have been . The movement of water without the maintenance of the nadikhanana process has not started yet . This will delay the start khananaprakriya , the death is likely to accelerate . In the 1998 study , the more sediment comes ghanamitara 90 million . Drejaragulo full of new and outdated mining can work 30 to 40 million ghanamitara . But a lot of sediment per year from nadigulote . How will the government’s sincerity in action , but this is expensive , it is sufficient doubt . Along with the implementation of the common rivers panibantana need to be discussed . But in reality , we are interested in the politics as much , so much unwilling to resolve the crisis . Panibantana of the Ganges in India, 197 in 1996, again with the deal . According to the joint committee of the two countries, India and Bangladesh pharakkaya hardinja bridge to monitor the flow of water to the point . In particular, from January until May . The joint paryabeksakadala and has a specific policy . Otherwise , if a joint committee to deal with the issue would be resolved . February and March this year, in the first 10 days of monitoring , more water in Bangladesh than in India . For example, the first 10 days of March pharakka point average water flow of one million 879 thousand kiuseka . Between India and Bangladesh has kiuseka withdrew 40 thousand 63 thousand 879 kiuseka . However, this observation does not continue to work properly all the time . Prakriyatio talks all the time is not easy . There are 54 identical with the great river . The flow of economic activities in the nadigulote India . The Rivers to protect our rivers dry mausume identical to this highly important to ensure proper flow . He regularly talks with India will continue . Teesta water deal to be not hateo . This deal can be completed as quickly as possible . Dam the Barak river Feni river flow or groundwater flow will be discussed . Mining through the rivers would nabyata . Nabyata disrupt the flow coming from the sea nadibahita palira a big part of it . Nabyata less than if the silt is deposited naditei and the fill process is faster . India’s relations with the coolness that was prevailing , it was the end of it . It is likely that many of the unresolved problems panibantanasaha gradually began to walk in the way of solutions . A being , exceedingly dry mausume pharakkaya paniprapti , the progress of the Teesta agreement . However , the rivers khananakaje and India agreed to cooperate to prevent breakdown . The Government of India 35 crore 68 lakh rupees simantasanlagna ichamati cost of the first stage of the project, 11 kilometers naupatha excavation work has been completed . It is the development of the relationship between the two countries may be regarded as a prominent example . India is the largest neighbor . There are over 00 kilometers of the border between the two countries . Naturally, many unresolved issues remain between the two countries . Regular relationships and negotiation based on the fastest time they can be resolved . The enclaves are ahead of a lot of problems in both countries . Hopefully , the Teesta water deal to be done quickly . The 014 is expected to be scheduled in the waters . Talk about closing the border was killed . ‘s Still the unresolved issues will , they will resolve to continue the discussion . But there are some people in this country , whose head dbijatitattba , sampradayikata and bharatabidbesa so much more efficient that they require – unnecessarily bharatabirodhitara took refuge . Bharatabidbesi tried to effectuation of the benefit . The ‘ scholars ‘ are false or distorted information , but people who bharatabidbesi the attitude of trying to flame . But they do not know , I was ahead . Data – the data at hand to hand . It is very positive to false wares . The government of Bangladesh has 159 million cost of the project has nadikhananera . This is a good effort but insufficient . The two projects under 018 in the 53 nadipathera will be completed in 50 nadipathera khananakaja . Padma and the Jamuna river at the fastest start khananakaja said . However , it has six dredgers khananakaja . It was paubora the small size of the 0 dredgers . Small rivers in the country under the Rivers biaidabilautiera khananakaja be conducted under paubora . Nabyatao rapid increase of small rivers in the usual gamut of work reviewed . Many of the local mining besarakaribhabeo – with the help of the above mentioned things that lift sand from the river . Parikalpanamaphika and integrated manner utilized in the sand Overall khananakaje withdrawal would be helpful . We hope , our politicians and the protection of the river parikalpanabidara sadicchara paricayai the highest note . According to a study at the Research Institute of the death of thirty . 89 die in the river . Pharakkara continued because of adverse effect . Dredging waterways have dried up because it is not necessary , in the absence of water in agriculture is hindered . Fisheries resources , biodiversity is lost . Water Development Board , and the Research Institute of biaidabliutie sources , the Nile River – dredging the rivers nabyatara need one, its more important than the increase in the flow of the Ganges pharakkaya . The average water flow of the Ganges in Bangladesh , did not get the last forty- aid . The Ganges water -sharing treaty with India , but it has never executed . Three irrigation projects upstream of the Ganges water were lifted hundreds of points pharakka have much less flow . As a result the water was dried cuktimaphika maosume Bangladesh . Joint River Commission meeting is 7 months . Teesta water -sharing agreement, as well as an increase in the flow of the Ganges has become important to talk about . The last meeting of the Joint Rivers Commission, Bangladesh, India, Nepal, the proposed project include haidyama showed interest . Six of the 46 hydroelectric power project will gangaya kiuseka water . The Ganges water flow will increase and the water crisis that has been read abhayabani . These are going to start construction of the project will take two to five years . Will last until at least five years after . The water crisis is acute in Bangladesh told that progress is not possible . The rest of the Nile – rivers are dry . The Research Institute of sources , from 007 in four years , according to the survey conducted in 30 countries from the map of the lost . 89 is going to die in the river . But the two – third of maosume is dry . One – third of the knee and less water . Nadigulote naval moves up a place in the Char closed . The River Nile Research Institute for four years – rivers of the survey . 009 salei Institute and the interactive process aidabliutie urgent study and model the capital dredging and River Training – ‘s plans to take control of the water was recommended . Dead in the Nile River – the river nabya recovery , increased drainage capacity , the government , to determine the direction , the rescue , fisheries resource development and environmental management , sustainable water management in river pratirodhasaha breakdown for the Capital drejinyera 1080 crore for the project to be taken . But the money could not be assigned to work on the project was started . Water Development Board , according to the experts, made ​​in China and 31 percent in the cost of capital dredging and nebhigesanala to route planning . The plan will be implemented in three steps from 0 year . The project will take one year of study to be done . The last three decades of the river – the river dredging waterways nabyata been taken to restore the Corruption . The current government of the importance of the work that has significant quantities . According to the Naval Transport Minister Shahajhan two thousand kilometers of waterways in the current government has been excavated . According to the claim of the waterways in the dry maosume 4 of 4 waterways are suitable for marine traffic . And arthabhabe biaidabliutie dredgers , dredging Water Development Board does not . Padma and Jamuna from the threshold brahmaputrera nunakhaoya Gulam up to 40 km waterways in mining and dam construction , river dredging garai , Brahmaputra , Jamuna and Meghna in Chandpur 495 km is still working to implement mining plans . To prevent breakdown marapholajikyali Yamuna River Study is to keep constant . The implementation of the project will be returned to the river nabya . Naupathaguloo going to be . But it can not dredgers and arthabhabe .